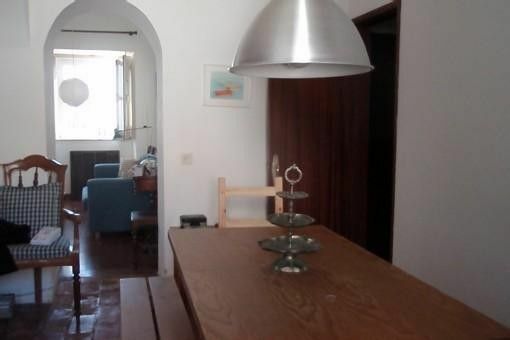 Old family holiday house with lots of space located in the picturesque village of Carvoeiro. Walk down to the beach in one minute. Separate sitting room and dinning room. Fully equiped kitchen although not modern .One front terrace and one back patio. Golf courses (2) within five minutes drive. Restaurants, bars, market and shops in a walking distance. This house is neither luxurious nor modern but it retains some of the features of a traditional fisherman's house and together with the space and all the ordinay amenities a family needs it can provide a very agreable vacation. We had a most enjoyable stay during our time there we had no problems or difficulties..
Beautiful scenery from house, quiet area. Thank you for tour words. I'm glad you've enjoyed your stay. You can sit in the back patio in the morning, when the sun is too strong in the front terrace, and have a drink and admire the stars, the moon and the sea, sitting in the front terrace in the evening. You can sit in the comfortable livingroom and listen to some music and have your meals in the lovely diningroom! Or ... you can go down the stairs and enjoy the vivacious night life of Carvoeiro.